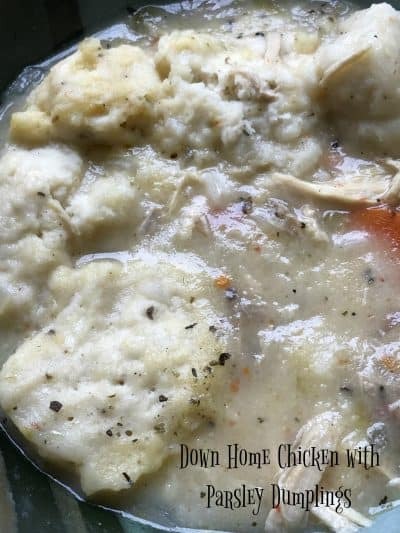 Chicken and Dumplings is comfort food at it’s best. It really doesn’t get much better than this. When the wind is blowing outside and the temperatures dip below freezing, reach for this recipe. Your house will smell so good while this is simmering on top of the stove. 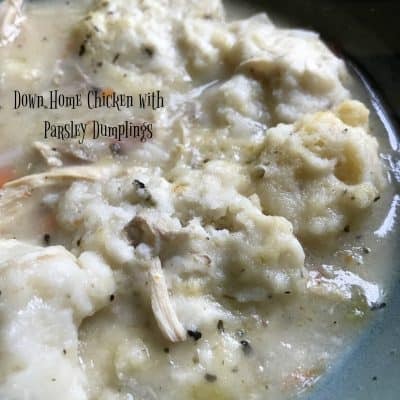 The old-fashioned way to serve this dish is to leave the meat on the bone but you can remove the chicken, cut into bite-size pieces before adding the dumplings. Why don’t we all just be honest here and admit the real reason why we all love this dish. It’s certainly not because we love the carrots, nope that’s not it. It’s the dumplings, of course! Light, fluffy, airy dumplings with just a hint of parsley. That’s how I like my dumplings anyway. Now on the other hand, my family loves those heavy, pasty, clumpy, chewy type of dumplings. The kind of dumplings that would be very similar too..
What globs of cooked, paper mache, paste dumplings would taste like, if you could cook them. Similar to the dumplings found in the chicken dumpling soup at Mary’s Place. I don’t mean my sister Mary’s place but Mary’s Restaurant. 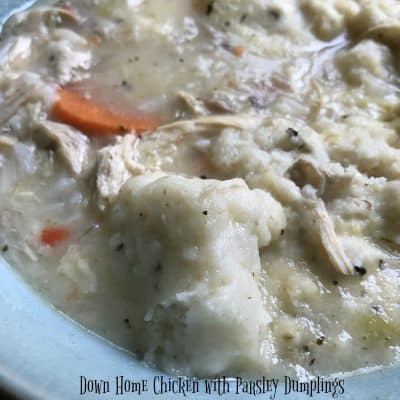 The chicken dumpling soup that my family loves. The dumplings they prefer to eat over my version, any day of the week. The same soup my kids still request when they’re sick, and they’re grown! Before I begin, let me say that this is in no way a dig against Mary’s Place. I love Mary’s Place, I’m just not crazy about their dumplings that’s all. Mary’s Place or Mary’s Family Restaurant has been in business in the Fox Valley Area for over 60 years. It’s a landmark of sorts, in the city of Appleton where I was born and raised. If you’re 80 years old or younger, have lived in Appleton all of your life or only for a few years, you have eaten at Mary’s. Mary’s Place or Mary’s Family Restaurant is a family owned restaurant. The food is made and served down-home style. Breakfast, Lunch and Dinner is served 7 Days a week. The menu at Mary’s is extensive with anything and everything you’d expect to find at a family style restaurant. I love, love their broasted chicken and the pies are darn good too. As I stated before, I don’t like the chicken dumpling soup but I’m the exception. 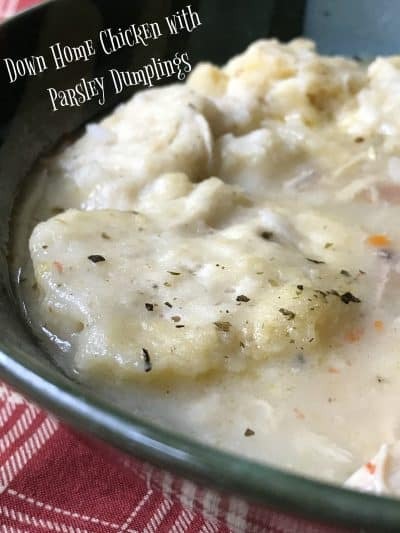 The chicken dumpling soup at Mary’s is what they are famous for and one of their best sellers. So what do I know! Mary’s Family Restaurant slogan is, “Discover Home Cooked Goodness.” As one of the longest-operating casual dining spots in Appleton, Wisconsin, Mary’s Family Restaurant has been serving homemade food since 1958. Mary’s is a locally owned restaurant and a wonderful stop for breakfast, lunch and dinner dining. Sixty years is a long time to be in business in a city that has seen it’s fair share of restaurant openings and closings. That alone speaks volumes for how good their food is. Remove and discard chicken skin. Rinse chicken; drain and pat dry. In a Dutch oven, combine chicken, broth, onions, celery, carrots, poultry seasoning, garlic powder, the 1/2 teaspoon salt and pepper. Bring to a boil. Lower the heat and simmer, covered, about 30 minutes or until chicken is cooked through. In a small bowl, whisk together the cold water and the 2 tablespoons flour. Stir into chicken mixture. Cook, stirring constantly, until mixture starts to thicken, about 2 to 5 minutes. Serve bowls of Down Home Chicken with Parsley Dumplings with glasses of white wine from Wollersheim Winery and for a simple dessert serve Apple Orange Cranberry Crostata with a scoop of vanilla ice cream. The perfect recipe to chase away the winter blues. Have a great day. I’m on my way to Mary’s Family Restaurant to get me some Broasted Chicken.